1. Use throwing knives to silently kill enemies up to 10 yards away. 2. Upgrade your weapons to increase your firepower. 3. Pay attention to the timer, you must complete your objective before it expires. 4. Use cover to avoid enemy fire. 5. Tap on the gun icon in the HUD to manually reload your gun. Contracts will get more dangerous over time. You are sometimes required to increase the power of your weapon in order to accept new contracts. Close your Contract Killer: Sniper app by either restarting your phone or by killing it on your task manager. 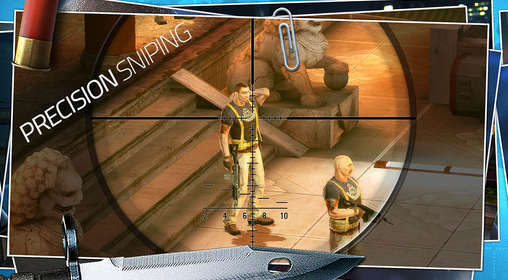 Open Contract Killer: Sniper app and you will get your full Energy. Open Contract Killer: Sniper app but do not play a single game. Open Contract Killer: Sniper app just to make sure that there is no problem.